Highest Path understands that organizations are constantly looking for new ways to engage, motivate and develop their talent. That’s why we offer customized training and workshops that can be delivered in any setting, whether that’s a company-wide event, retreat or off-site. Highest Path also offers the Women & Power Leadership Forum which we produced in Silicon Valley for 50 female executives to have a day of deep dialogue to explore the issues that matter most to women's advancement in the workplace. 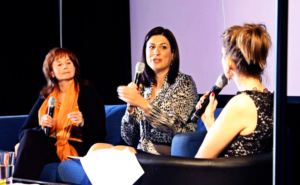 This leadership forum can be replicated for organizations who are looking for a unique, transformational experience designed to explore how women can redefine leadership, success and power to meet the challenges of today. We recommend this event as part of women's initiatives or gender diversity programs and can also include men to engage them as allies. Contact us to learn more. 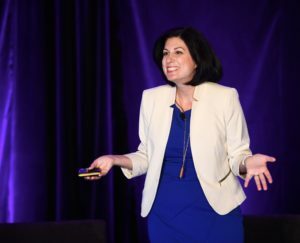 As the CEO of Highest Path, Monique Tallon is a dynamic and sought-after international keynote speaker at conferences like the Global Microsoft Women’s Leadership Conference, the National Association of Women Lawyers Council, and the Groundbreaking Women in Construction Conference. She has also spoken at companies like Google, eBay, and Samsung. She speaks on topics related to Diversity & Inclusion, Women’s Leadership and her book, Leading Gracefully: A Woman’s Guide to Confident, Authentic and Effective Leadership. Click here to learn more about how to book Monique for your next conference or event. Looking for a memorable learning experience for your upcoming retreat or conference?